Tim Perry has a strong business background, having acted for private businesses over many years. Tim studied History at Cambridge and graduated from law school with a distinction. He is founder and senior partner of Spring | Law. 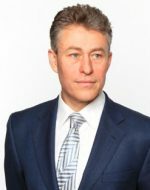 A former corporate solicitor at Simmons & Simmons and litigator at Denton Wilde Sapte, Tim was also in house legal counsel at Reuters and General Counsel for Ftse listed Sportsworld Media Group plc. In this latter role Tim was responsible for the company’s M&A, its acquisition and exploitation of sports & media rights, and contract/IP disputes. Tim is a regular commentator for the Times on sports issues and is on the Sky news panel of experts for sport and risk management. Spring | Law was founded in 2002 with the clear vision of offering a premium advisory service to business and private client’s in today’s world. The firm has established a strong reputation in risk mitigation and disputes (Spring | Risk) and for a comprehensive range of legal services to business (Spring | Business). The firm’s name reflects the energy and positivity that characterises our approach to business. Our key objectives are to be 100% outcome focussed and to keep our clients happy. We commit to a consistent approach to delivering advisory services that helps us achieve both those objectives. That means delivering services on time, within known costs parameters, being practical, direct and intelligent. We are proud of what we do at Spring | Law, and I hope to welcome you to our business.